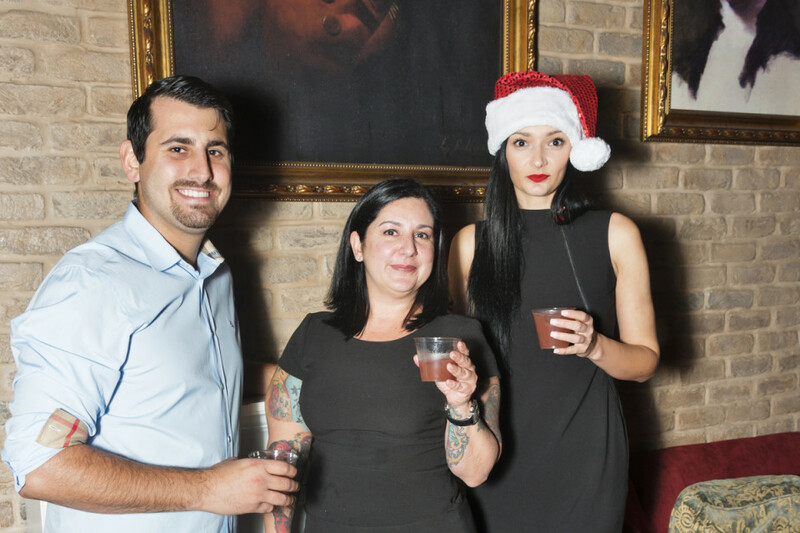 Winner takes home $1,000 Cash and Tickets to Tales of the Cocktail Festival in NOLA! 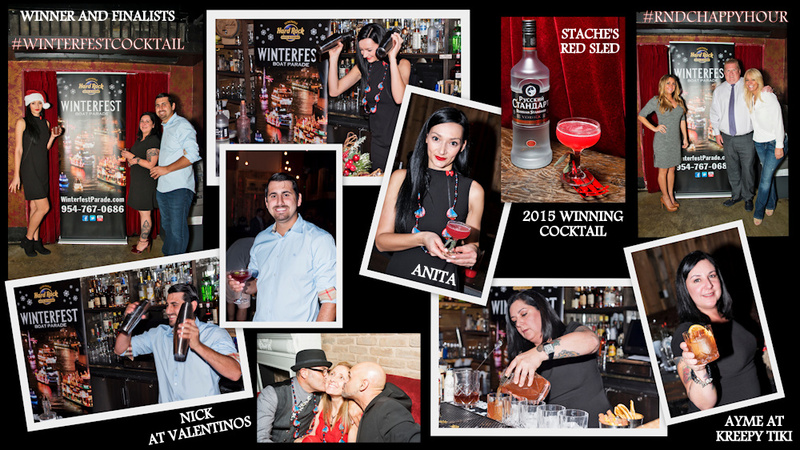 Stache 1920’s Drinking Den was the place to be on November 30th, as ten finalists competed to win the honor of creating the Seminole Hard Rock Winterfest Boat Parade‘s 2015 #WinterfestCocktail. 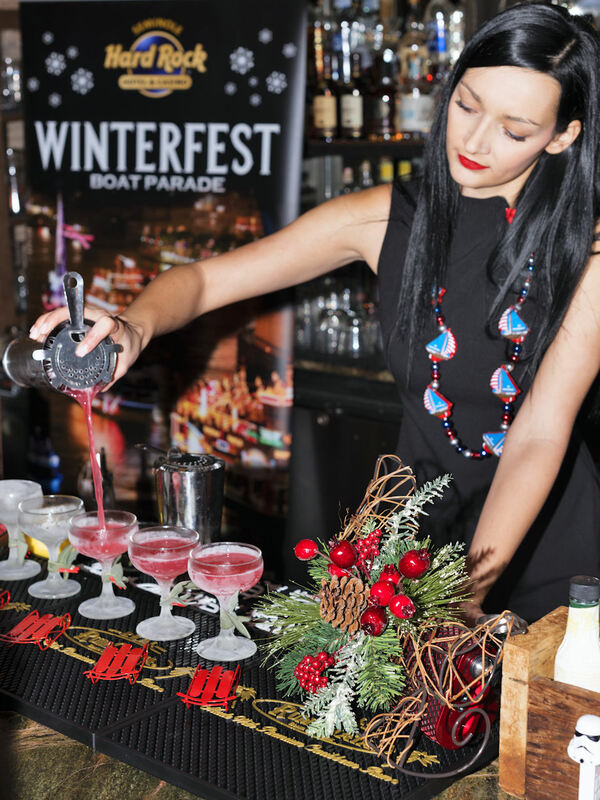 As the Winterfest Bartender Contest Chair, I have spent the last few months visiting the parade route restaurant and bars to encourage our local bartenders to get crafty and create a taste sensation to wow the judges. Meet the contestants over the next week. The winner with 46 points out of 50 was Anita Bogacz’s Red Sled from Stache 1920′ Drinking Den. Runner’s Up: Tied for second place with 40 out of 50 points were Nick Mikhak’s Beet This from Valentino’s and Ayme Harrison’s Old Fashioned Scrooge Cocktail from Kreepy Tiki. Honorable mentions go to Adam’s Green Glass from the Brass Tap and Kyle’s The Hatter’s Tea Party from Apothecary 330.